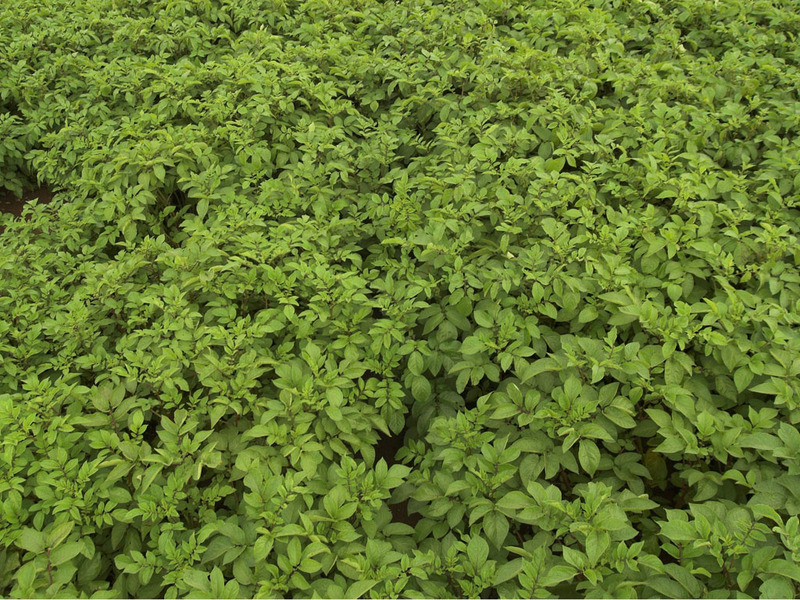 With blight endemic in this season’s potato crops means growers and agronomists will have to pay greater attention to fast desiccation this season, to minimise infection spread to tubers, warns Syngenta Field Technical Manager, Douglas Dyas. Speaking to growers at Potatoes In Practice in Scotland, he highlighted that shortening blight spray intervals and greater use of the highest performance fungicides, such as Revus, had mitigated the spread of infection – particularly in the south and eastern counties, where weather conditions had dried up. “However blight pressure has remained extremely high in the north of England and Scotland,” commented Douglas (above). “Compounded by high winds and rain interrupting spray programmes. “Wherever there is, or has been, blight lesions in the crop there is now an increased risk of zoospore spread to infect tubers," warned Douglas Dyas. 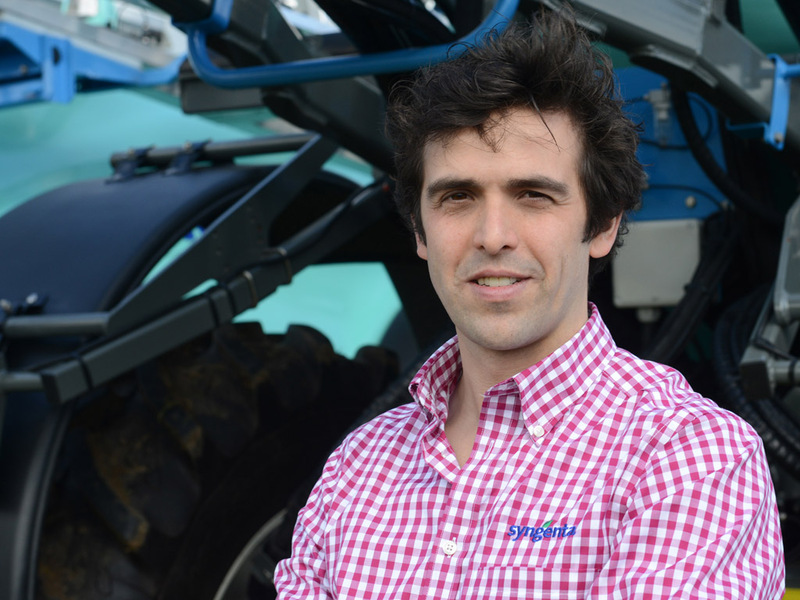 Douglas advocated a two-spray Reglone programme can be the most efficient and cost-effective route to prepare crops for lifting and assure clean tubers. “Achieving a rapid removal of green leaf deprives blight of its host material. Reglone has been shown to be faster and more reliable than some other diquat products or alternative desiccants,” he added. Best results have been achieved in a dense or actively growing crops from using a water volume of 400 l/ha and angled spray nozzles to achieve better penetration of the leaf canopy. The first spray in the programme is aimed at quickly removing as much leaf as possible, to open up the crop for a second Reglone application targeted at the stems. 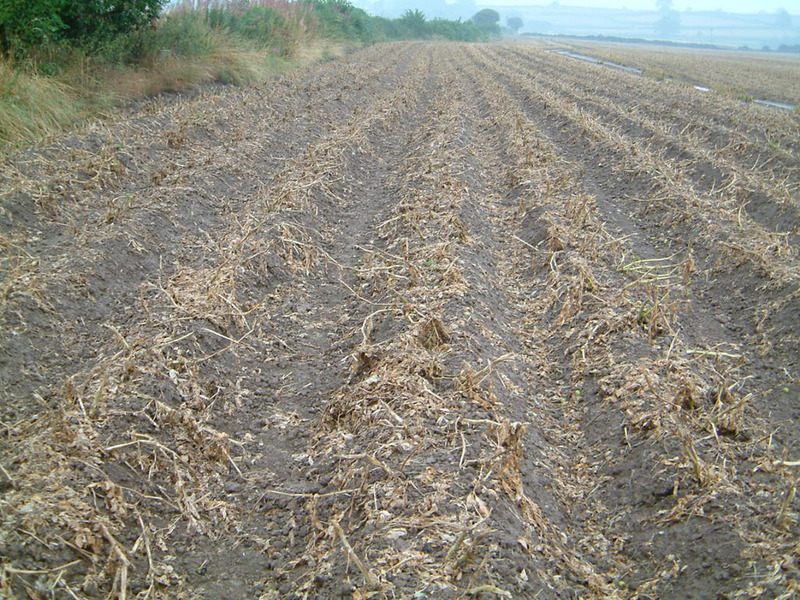 Vigorous crops pre-desiccation (above) can be effectively opened up with Reglone application to remove foliage and expose the stems for follow up treatment (below). “Desiccation trials, and growers’ experience, has demonstrated the importance of leaving sufficient time for the crop to open up,” he advised. “Typically that would be five to seven days, but depending on conditions and the crop, it could be up to 10 days. “During that time the crop will have been triggered into senescence and the initiation of skin set, so there is no delay in harvest from waiting to apply the second treatment,” added Douglas. 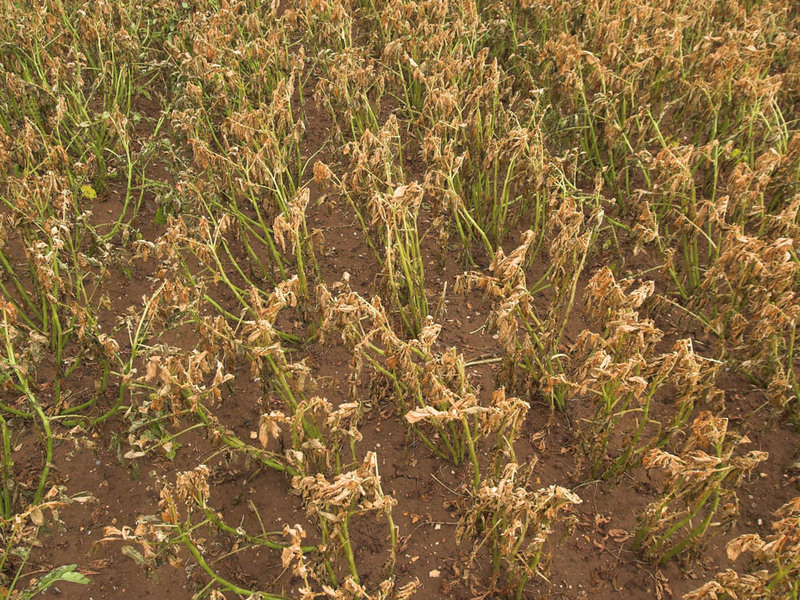 “The key advantage is that stems can be completely desiccated with Reglone - and significant cost savings over using carfentrazone." “Reglone is equally effective at killing off stems (below) and it’s also far more convenient and efficient for the sprayer operator to use Reglone throughout the desiccation programme, rather than switching to another product.” The second application can usually be made at a lower 200-300 l/ha water volume, again using the angled Syngenta Potato Nozzles, he advised. Research has shown that Reglone has a direct effect on blight spores, but with this season’s high pressure Douglas added he would always advocate a tank-mix with the blight-zoospore active Shirlan at each desiccant spray timing. 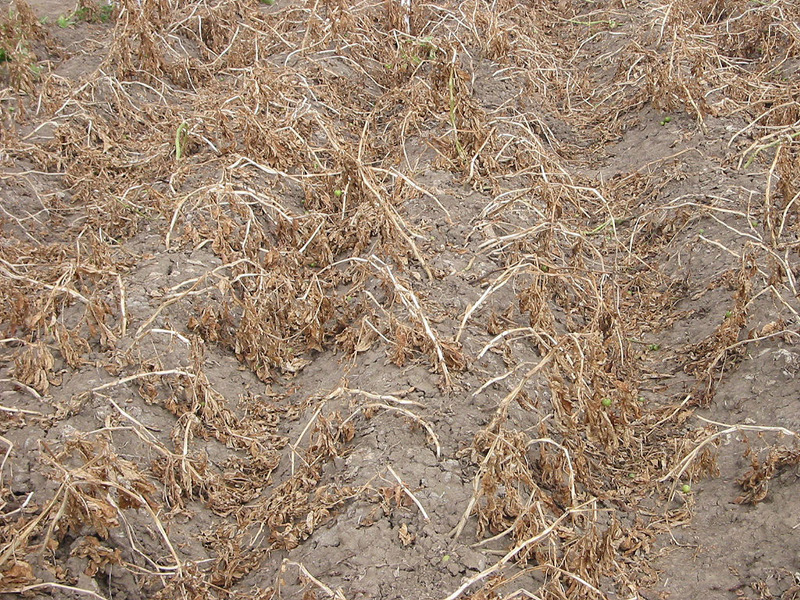 He added that trials in Scotland, reported at Potatoes In Practice, have also shown efficient Reglone desiccation can minimise the risk of blackleg spread to tubers, particularly where crops are being flailed prior to lifting and compounds the risk of disease spore spread. “A pre-flail Reglone treatment (below) also hugely reduces the volume of green material to be chopped - which can significantly improve flail output and performance, as well as reducing fuel use and costs,” he added.